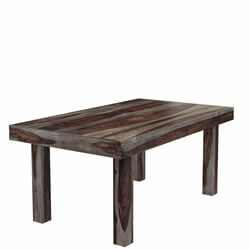 The Dining Table is more than just a place to eat. 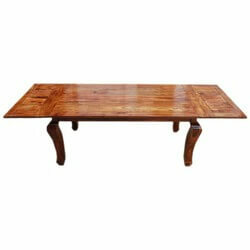 It’s the gathering point for memories so choose the right style, shape and size. 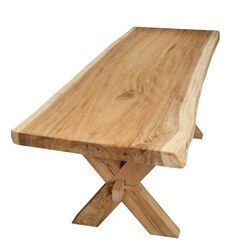 It’s easy at Sierra Living Concepts; we offer hundreds of kitchen, dinette, and dining room tables. 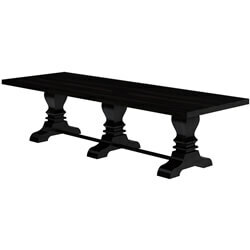 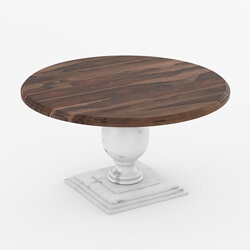 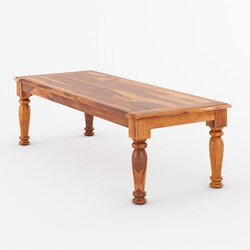 Lots of shapes - We offer classic rectangular dining table with legs at the four corners and set inside, as well as single and double pedestal tables, and trestle tables. 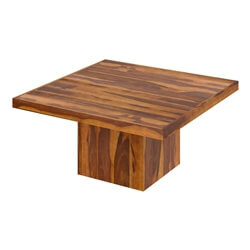 We love King Arthur’s idea of a Round Table, but we also added square and triangular tables. 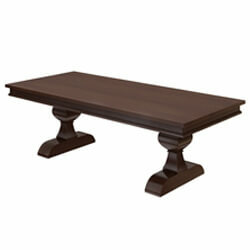 Lots of sizes - Rooms and families come in lots of sizes and we have kitchen and dining tables for every need. 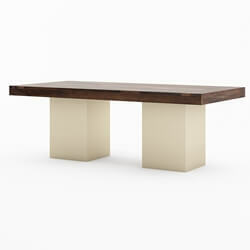 Our dinette tables fit into kitchen nooks and kitchenettes. 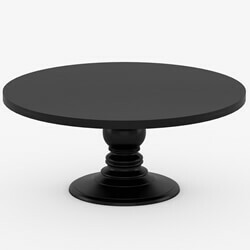 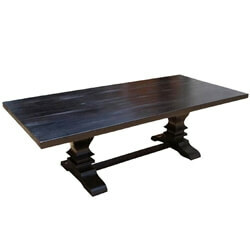 Check out our classic and modern tables with single and double table extensions. 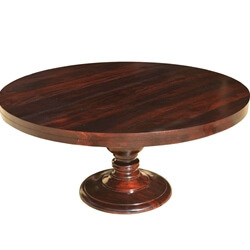 If you need a special size, just ask. 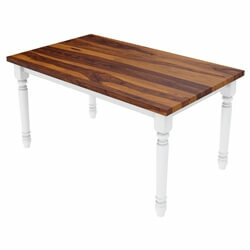 We customize our solid hardwood tables. 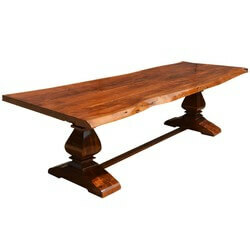 Lots of hardwood varieties - We use high-quality hardwood in our hand-crafted tables. 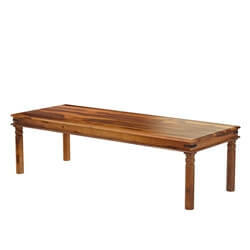 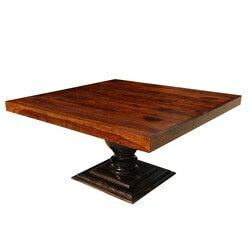 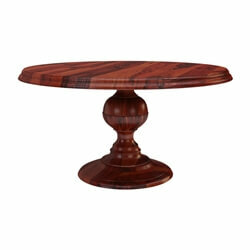 Check out our traditional Indian Rosewood dining room tables, our Mango wood round tables, and our Teak kitchen tables. 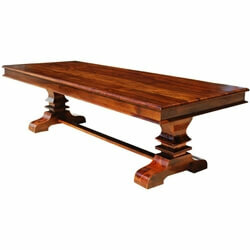 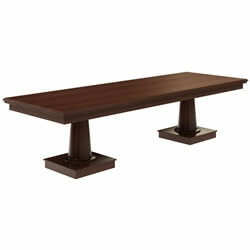 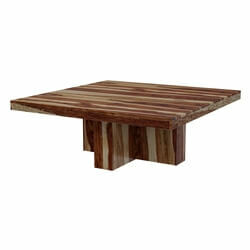 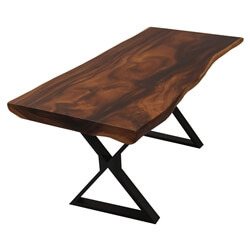 Solid hardwood tables are both durable and beautiful. 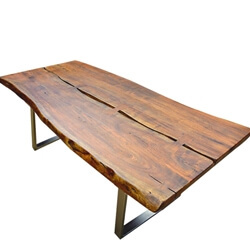 Lots of History in our Reclaimed Wood Tables - It’s easy to make memories on a rustic, classic, or traditional table built with reclaimed wood. 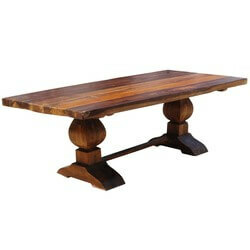 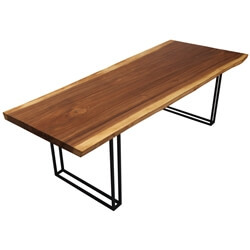 We carefully select top quality old wood with dynamic surfaces and create conference and dining tables made to last. 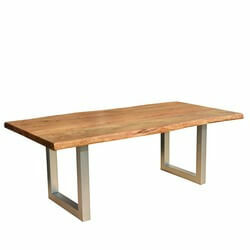 Lots & Lots of Styles - We are very proud of our diverse variety of dining and conference tables. 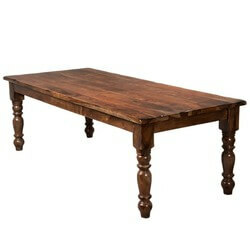 Classic varieties of kitchen and dining room tables include mission, gothic, Elizabethan, Tudor, and Victorian styles. 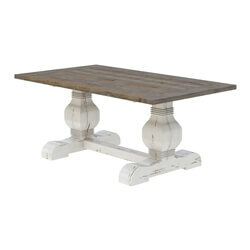 Rustic tables add texture to interior designs; varieties include the log cabin, Appalachian, and Farmhouse. 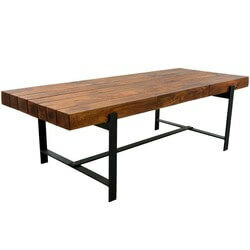 Industrial and retro styles can be found in our modern collections. 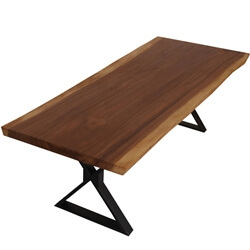 It’s fun to find the perfect kitchen, dining room, or conference table and you never have to leave home!